This is Zin country. More than any wine region in the Foothills, Amador has made its reputation with this versatile fine wine grape and its fanatical following. This region currently supports thirty-three wineries most of which are small and family owned; some of which have had the land and vineyards in their families for generations. The county has over 2700 acres in grapes, 1700 of which are planted to Zinfandel. As is a common theme in the foothill counties, wine making began in earnest in Amador County shortly after the start of the Gold Rush. The first vineyards can be tracked to the mid 1850s and the first winery was opened in 1856. 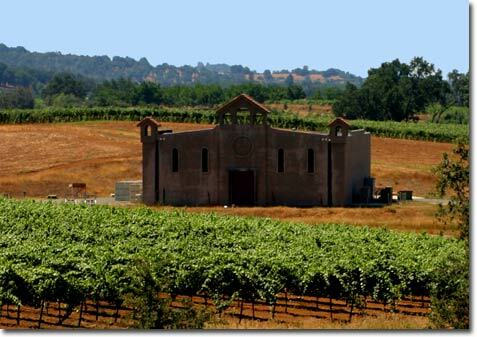 This first winery’s proprietor, Adam Uhlinger, is also credited as being the first vintner to remove the California Mission grapes and replace them with Zinfandels in the late 1860s. Known for its robust fruit and characteristic spiciness, the Zins were a big hit with the local European home winemakers, especially if they were from Italy, Slovakia or Portugal. But as the gold panned out, so did the wine and grape business. By the turn of the century Adam Uhlinger’s winery was the only winery still operating and only a handful of commercial vineyards were still selling grapes. By the beginning of the 1960s about the only thing keeping the vineyards of Amador County alive was a group of loyal home winemakers. Some of these winemakers were buying grapes from the same vineyards their grandfathers had purchased from at the turn of the century.